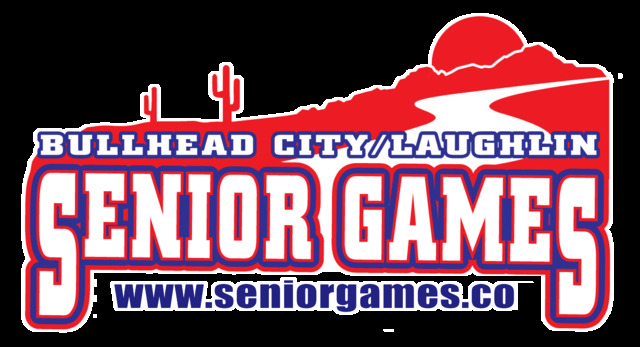 BULLHEAD CITY, Ariz. – Fifty-three teams began the new year here at the 2019 Top Gun/Bullhead City-Laughlin Senior Games, Jan. 15-20. The first session began with the Men’s 65s through 80s age divisions, playing Jan. 15-17. Day one of the tournament would be short lived, as just four games would be completed before rain washed out the remaining games on the day, causing a reschedule. 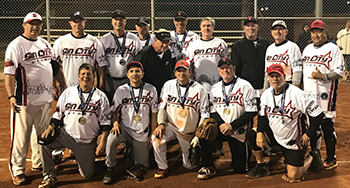 Beginning with the Men’s 65 Major Division, 19 Hitmen (AZ) and Sin City Stars (NV) played in a best two-out-of-three game series. Sin City Stars took the opening game with ease 14-2, before 19 Hitmen came back with a 22-15 win in game two, forcing the third and decisive game. Sin City Stars won the rubber match 28-9 to take the division. 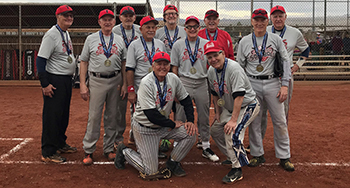 In the five-team Men’s 65 Silver Division, Sidewinders Desert (AZ) came out of the elimination side of the bracket to double-dip top seed Bucky’s Casino (AZ) by scores of 21-16 and 21-10, in the championship game and “if” game, respectively. 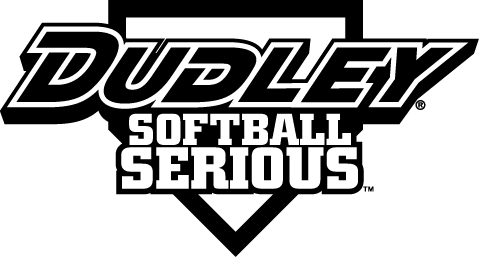 The wins capped off a four-game win streak for Sidewinders Desert. Bucky’s Casino defeated Sidewinders Desert earlier in the bracket 15-6 to drop the team into the elimination bracket. Las Vegas Desert Heat (NV) finished in third place. 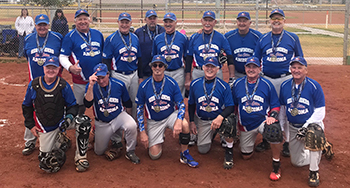 The three-team Men’s 70 Platinum Division would also see the top seed get double-dipped, as Sidewinders (AZ) downed Game On (CA), 12-10 and 18-6, respectively, in the championship and “if” games. R&R (CA) rounded out the three-team division. The double-dip trend continued in the five-team Men’s 70 AAA Division, as Doughboys (NV) came out of the elimination side of the bracket to defeat Tequila All-Stars (CA) 37-26 in the championship game. Tequila All-Stars would forfeit the “if” game, giving Doughboys the first-place finish. No. 1 seed Top Gun Patriots finished in third place. 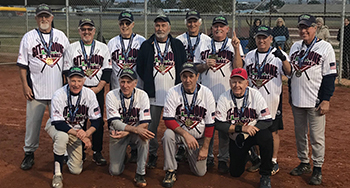 In the three-team Men’s 75 Major Division, Tharaldson’s (NV) posted a perfect 3-0 record in bracket play, including a 24-9 win over Scrap Iron Beams (CO) in the championship game. Las Vegas Coyotes rounded out the division. Git-R-Done (CA) and Stark Street Pizza (CA) played a thrilling best two-out-of-three game series in the Men’s 75 AAA Division. Stark Street Pizza took the opening game 28-20 before Git-R-Done knotted the series with a game two win, 18-13. Git-R-Done would complete the comeback with a 24-11 win in the third and final game. Top Gun Gold (CA) won the four-team Men’s 80 Gold Division. Entering bracket play as the top seed after going 2-0 in seeding play, Top Gun Gold defeated Magic Stuff (UT) 20-19 and Sidewinders (AZ) 19-11 to reach the championship game. Top Gun would eventually earn a forfeit win in the championship game against Sidewinders. SoCal Titans (CA) finished in third place. The tournament continued Jan. 18 with the Men’s 50s through 60s in action. West Coast Water/Elite/Desert Springs (NV) swept L.A.F. (CA) by scores of 18-11 and 21-17, respectively, in a best two-out-of-three game series in the Men’s 50 Platinum Division. In the five-team Men’s 50 AAA Division, Advil Knights (CA) swept through bracket play with a perfect 3-0 record, including a 19-17 win over Top Gun Diamonds (CA) in the championship game. Tom Ranalls Realty (AZ) finished in third place. In the four-team Men’s 55 Gold Division, top seed Graywolves (NM) avenged their 20-18 loss in the championship game against UNPREDICTABLE (NM), with a 23-20 win in the “if” game. Pitbulls (CA) finished in third place. In the five-team Men’s 60 Silver Division, Sidewinders (AZ) won back-to-back games over Sin City Raiders (NV) by scores of 25-10 and 17-16, respectively, in the championship game and “if” game. Sin City Raiders edged out Sidewinders 21-20 earlier in the bracket. Lights Out (CA) finished third place. The Men’s and Women’s 40s Divisions concluded the tournament, beginning play on Jan. 19. In the seven-team Men’s 40 Platinum Division, top seed Automatic (NV) came back to defeat Lazer Sports (NV) 30-20 in the “if” game, after losing in the championship game 29-23. Tunie Sports/Typo (AZ) finished in third place. Whatever (AZ) swept Big Hawks (AZ) by scores of 21-8 and 17-16, respectively, in a best two-out-of-three game series to win the Men’s 40 AAA Division. The four-team Women’s 40 AAA Division saw CCS Fireballerz (CA) force an “if” game, as the team defeated top seed Saints (AZ) 23-17 in the championship game. Saints would come back to avenge their only loss of the weekend, with a 21-7 victory in the decisive “if” game. Unfinished Business (AZ) finished in third place.